Whether you call him Mike Adams, Michael, or the Health Ranger, he is a successful Internet marketer who is making a huge name for himself in the field of alternative health. Pro conventional medicine factions often consider NaturalNews (formerly Newstarget) as the #1 purveyor of yellow journalism or abysmally poor quality information, global warming, environmentalism, freedom, martial law, quackery, fear, hysteria surrounding impending nonexistent crises, paranoia, and conspiracy mongering on the Web. The Health Ranger likes to promote whatever is hot at the moment. Whenever Mike finds a way to make money hawking a particular product, the Health Ranger keeps on promoting it until it becomes a hot item. Overtime, formerly hot products are often quietly forgotten about. While he once talked about vitamin D preventing cancer all the time, for example, you will rarely find him mentioning the topic today. Mike probably stopped hawking vitamin D, because he figured out that he could make more money hawking other products being sold in his natural news store. Mike is not shy about charging money for his best information. It is sold in different media modalities, such as E-books (for example, their online accessible program, How to Halt Diabetes in 25 Days, for $19.95), DVDs, and Monthly Subscriptions to Natural News Inner Circle. Inadvertently, the Health Ranger is admitting that most of his free information is of abysmally poor quality. Mike Adams, also, likes to promote whatever products can be sold in his Natural News store. Mike has found that drumming up fear and keeping the public in panic mode is good for business. His activities on his Y2K Newswire site were allegedly responsible for drumming up much of the hysteria over the Y2K crisis, which of course never took place. In addition, Mike knows how to gracefully shift blame from himself to others. How Mike Adams managed to beat out all his competition on the Web was really so ingenious that it could be described as being both brilliant and diabolical. Mike is certainly into a very large number of profitable operations. However, will the material put out by the Health Ranger actually improve your personal health? Around 2006, Mike has been alleged to have set up as many as 450+ different Web sites, merely to link to NaturalNews allegedly to boost its ranking in Google. "People love to hear good news about their bad habits." Most of Mike's pieces are half-baked, half-developed ideas, which are more of a tease than a fulfillment of his claim that he empowers people to improve their health. Think about it. For an Internet marketer, empower is code for selling his flock of sheeple a product. The Health Ranger is an Internet YES Man who is all too willing to pat everyone on their backs, sell them a product, while telling them that they will be improving their personal health. McDougall brilliantly explains the success of the Natural News Network with his comments about "People love to hear good news about their bad habits," and "Why? ... The root of all evil is money. Money is what drives things." A case in point would be Mike's top 10 breakfast cereals ... contain Monsanto's GMO corn post. I ask, what person remotely interested in eating a healthy diet would still be eating boxed breakfast cereal, which is nothing but total junkfood, to begin with? Have you ever kept track of the articles being posted on NaturalNews? 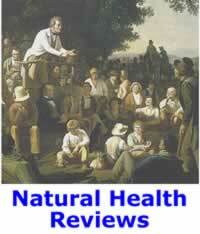 The few articles that are remotely related to natural health are generally about food, nutrition, and herbs. Mike Adams has NOT written about the health benefits of exercise in years. Further, his site is positively downplaying the role played by vitamins in health over herbs; probably because there is a lot more money to be made selling an endless variety of different herbs to his sheeple. Then in Mike's post on the 10 false assumptions of modern science he essentially repudiates the very definition of natural health being promoted on the Natural Health Perspective, which admittedly is a pre-quantum physics view of the physical universe. Who amongst us does not want to remain in the human, living, and breathing form; as long as possible? Ever hear of Mike Adams of the Texas Rangers? 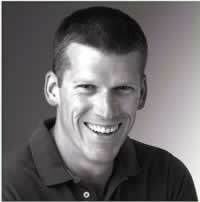 Mike Adams coined the NOT so original idea of him being the Health Ranger, as a successful marketing ploy. It tactfully hides the fact that Mike is NOT divinely inspired, but a layperson, just like you and me. Furthermore, calling him the Health Ranger gives Mike a type of superhero, cult like status. I shall ask again: What is Mike's health program? The closest thing to it appears to be what he recently gave an hour-long presentation on: Spiritual Healing. YES, his boundless egotism has reached the level of the Health Ranger actually trying to start his own religious movement. Previously, Mike had written a lot about consciousness and conscious cosmology. Earlier in the year, Mike Adams declares 2012 the year of consciousness. Now with Divinity Now, the Health Ranger has put his religious aspirations into writing. While Mike can write that his Divinity Now site is not a religion that is like him writing "ethics matters" while he busily knocks out more misleading posts. When it comes to an article written by Mike Adams the Natural Health Perspective advises people to always ask what is the Health Ranger NOT telling you? We have a question for Mike Adams. With you being into at least seven different activities (Journalism, Cartoons, Music Videos, Investigative Videos, Podcasts, Philanthropy, Reports, NOT to mention running your ranch in Texas) how much hard thinking and thoughtful investigation could you possibly put into any one thing that you manage to come up with? As our newly self-appointed spiritual leader, Mike, do you have a direct link to our creator? Where do your superhuman health powers come from? Mike is often associated with the raw milk movement. His main interest in raw milk appears to be that it gives him yet another excuse to get the public all worked up over non-issues or what he considers to be trickle down tyranny, a phrase that Mike at one point unsuccessfully tried usurping from one of his media competitors, Michael Savage. Mike Adams will report on just about any issue, no matter how far removed it is from natural health. Yes, the Health Ranger likes to work the sheeple public up into a frenzy. He covers any issue where he can mislead people, into getting all worked up over his half-baked reporting tactics that are clearly designed to attract a huge number of hits to his various Web sites with a very diverse audience from potheads, political activists, to health crackpots of all types; every time somebody posts something on their pet issues. A case in point would be vegetable gardeners being prosecuted by local authorities. Investigate Mikeâ€™s reporting and you will generally find that he always manages to leave out a few key details, like the issue already being resolved, or it was more about some crackpot lowering property values by junking up their front yards, than it was about a governmental vendetta against those who grow their own food. While Mike Adams occasionally manages to nail it, his strategy of being as inclusive as possible and his penchant for writing misleading posts severely diminishes his credibility as a political activist. Furthermore, it is virtually impossible for anyone to figure out a manageable health plan of action from a steady diet of his material. Mike's overall writing style is very negative, misleading, and inflammatory. Sorry, Mike, but people are empowered to improve their personal health when they are motivated to take action, rather than to merely blame everybody but themselves for their own plight. A steady diet of perusing the voluminous material that the Health Ranger manages to put out, while fleetingly entertaining as a medium of pop culture, could conceivably lead to serious depression, and a wasted life of zombie like devotion. Yep, every time he needs to drum up more business, Mike knocks out another thoughtful post and his faithful flock of sheeple gladly buys whatever he is hawking. In conclusion: the Natural Health Perspective submits that while Mike Adams often comes across as a very likable person, rest assured he is no more interested in your personal best interest than Kevin Trudeau. Mike was a multimillionaire from his Arial Software, spam email, business before he even got into the health business. In fact, Mike started out in the news business and kind of backed his way into selling health related products. Rest assured, Mike's primary motivating force is to make money. Like a masterful chess player, the Health Ranger aways keen on making more money plots his next marketing ploy 14 posts ahead of his clueless and bedazzled sheeple who often end up scratching their heads after being jerk around on any issue that takes more than a few weeks to unfold. This article was originally published on 07/03/2012. Mike Adams was in 2005 the president of Arial Software, LLC, makers of permission email software used by email spammers. In SpamDontBuyIt.org Mike Adams purports to be against email spammers while blaming spam victims for the problem. An interesting and very revealing old post by Mike entitled: The 7 Principles of Mindful Wealth that goes on for 19 pages.